Is it Thanksgiving yet?? My favorite part of Thanksgiving dinner is the dressing. Or is it stuffing? Whatever we’re calling it these days, I adore that combination of flavors and I look for any excuse throughout the year to bring it back. These mini quiches are super easy to make, require very few ingredients and are great served hot for breakfast or served room-temperature as an appetizer. 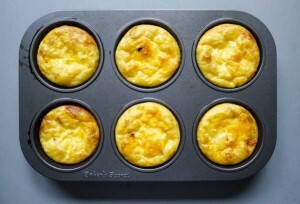 Spray a muffin tin and a skillet with nonstick spray. 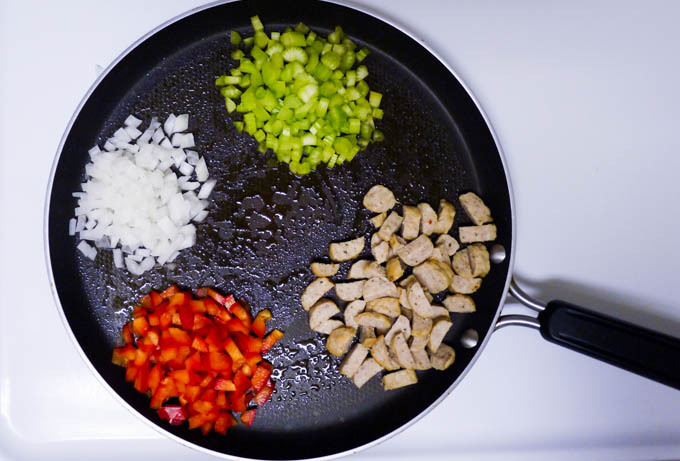 In the skillet, combine sausage, celery, bell pepper and onion. Sauté on medium heat for approximately 5 minutes, until vegetables are just starting to soften. In a small bowl, combine eggs and heavy cream. Layer the sausage and vegetables in each muffin tin, followed by cheese, and then some of the egg mixture. When you’re finished, each section should have a little bit of sausage, a little bit of celery, a little bit of onions, a little bit of peppers, a little bit of cheese, and a little bit of the egg mixture like the tin in the bottom left corner below. Bake for 20 minutes, until golden brown, and enjoy! 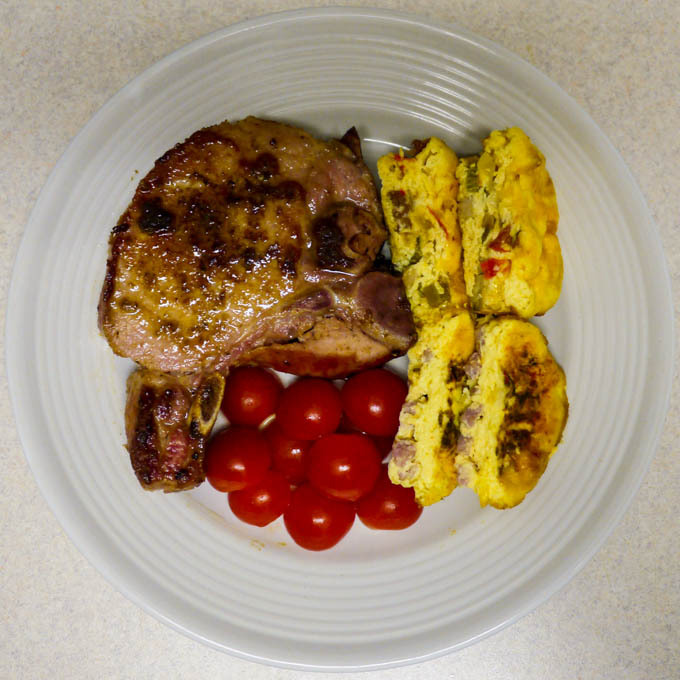 I served it below with a ham and cheese mini quiche (recipe on my Facebook page), a few grape tomatoes and a big smoked pork chop. 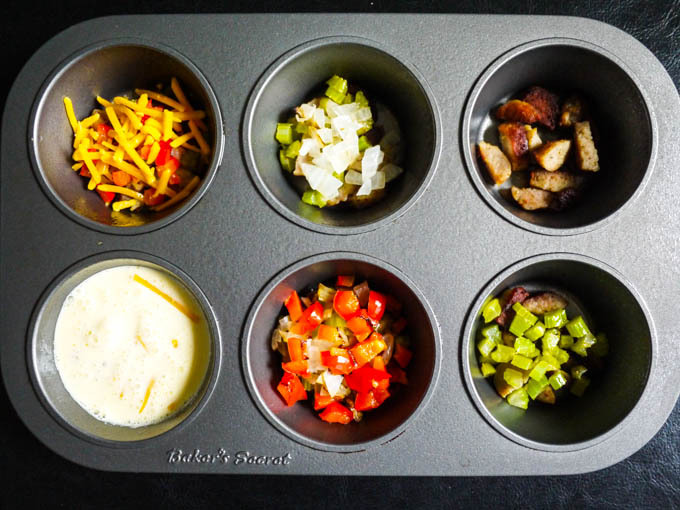 Mini quiches filled with traditional Thanksgiving flavors of dressing/stuffing - maple sausage, celery, onions and peppers. Layer the sausage and vegetables in each muffin tin, followed by cheese, and then some of the egg mixture. Yum, Yum, Yummy my Daughter! I love stuffing/dressing. At Thanksgiving this is what I go for first. Now you have me all excited about Thanksgiving. I will definitely make this recipe for breakfast tomorrow before we leave for Church. Thanks for another Award Winning Recipe and an Amazing Presentation! We love you! 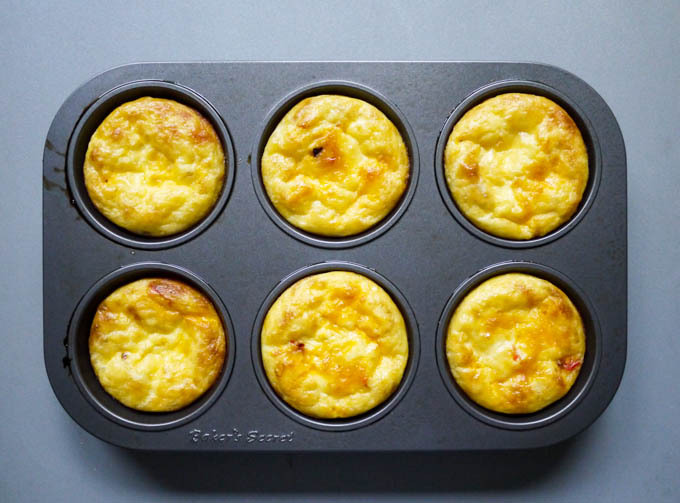 Oh, these look perfect for a make-ahead weekday breakfast! Love the idea of making it stuffing (well, actually, in my family, we call it dressing, but I suspect that’s a southern term for it, which would make sense since my mom grew up in North Carolina & her father’s family was all from Kentucky/Virginia)!